Fall at our house means dealing with a lot of leaves. Our house was built in the late 1940’s and it has two 60′ trees in the front yard. In addition, we have five different fruit trees on our small lot. Our usual Autumn ritual has been to rake the leaves up, bag them and send them off with the trash. Watching the trash truck pick up 20 to 30 bags of leaves gives a feeling of accomplishment and regret. After years of sending all that carbon-rich material off to a landfill, it is time to make a change. We have toyed with the idea of composting, but our best effort involved a plastic kitty litter bucket that we occasionally remembered to add food scraps. This year I have finally decided to get serious about composting. 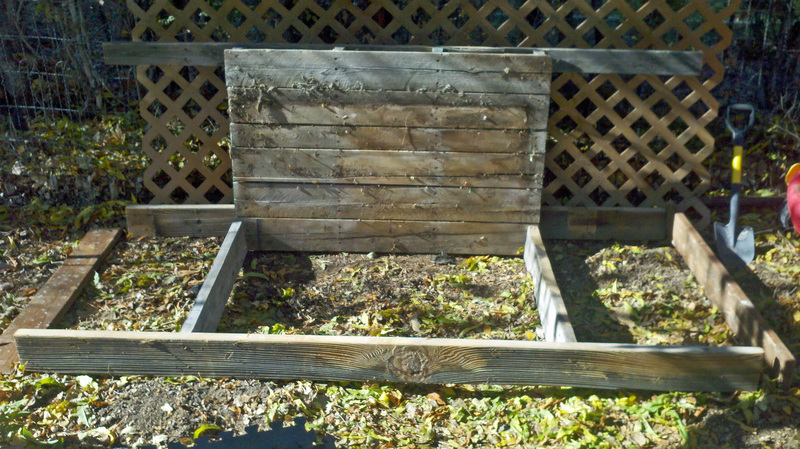 I have built a three bin composting box out of old scrap wood based on a design I saw using wood pallets. My design was done on the fly (and it shows,) but it does the job. I only had one old wood pallet available so I made it the back wall of the middle bin. I built two other bins on either side of the main bin. These outside bins will be used for storage (leaves in the Fall/Winter/Spring and grass cuttings in the Summer.) The dimensions of the boxes are not significant to the process, but my composting box is roughly three feet deep and eight feet wide with the middle bin twice the size of the either outside bin. 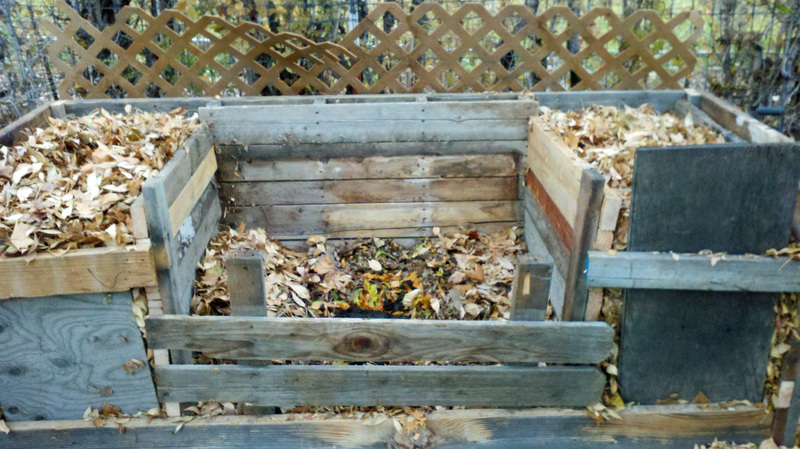 Because the compost pile needs mixed on a regular basis, the bins are open in the front. I used more scrap wood as temporary front panels on all three bins, but each one can be quickly removed for easy access. Greens and browns – Most suggest a one green to two brown ratio. 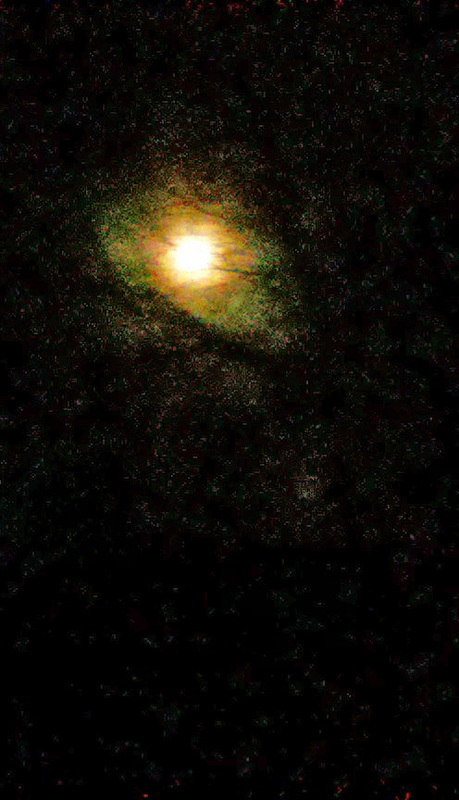 (Greens and browns are defined below.) Greens provide nitrogen, browns provide carbon. 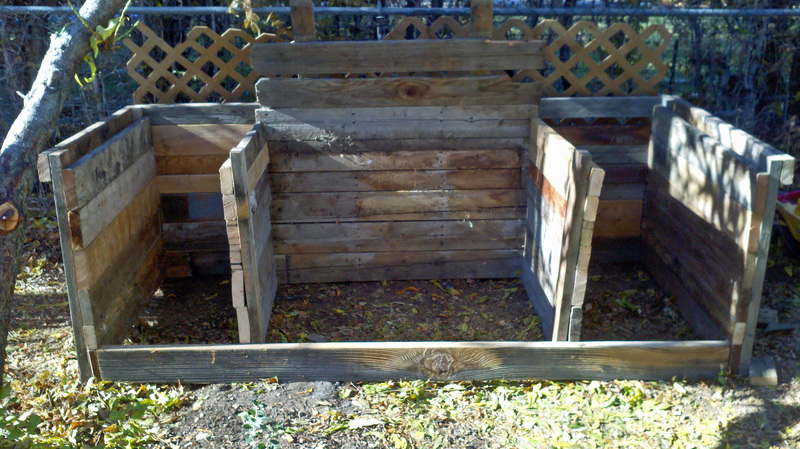 Water and Oxygen – One website suggests that the compost pile be as wet as a sponge. Another suggests that a pile that is too wet will smother the bacteria. Regardless, a dry pile is not going to compost, so adding water once or twice a week may be necessary depending on the climate and recent weather conditions. Oxygen is needed to help the bacteria in the compost to breakdown so turning the pile to add in air three to four times per month is needed. Browns – Dead leaves are considered brown. Our house has an overabundance of browns right now. Twigs, hay, and shredded paper are also brown, so if you don’t have the tree bounty we have consider shredding your paper rather than tossing it in the trash. Greens – Grass cuttings are one major green source during the summer and non-meat, non-dairy food scraps are also green. Coffee grounds are green, so if you’re in my situation where I need a lot of green now, a chat with your favorite Starbucks store manager will probably get you into as much green source as you can handle. NPR had an interesting story on Morning Edition this week about food waste at restaurants. It may be worth checking your favorite eatery about compost greens. Don’t Compost…well, maybe or maybe not– Most composting websites say no dairy and no meat, but one says that he has done both with no problems. The issue with meat is the attraction of animals (dogs, raccoon, rats, mice, etc.) that might feed off the meat. The lone voice for adding meat suggests only cooked, boneless meat that is buried in the pile. As for dairy, I’ve read that it is 1) a smell issue, 2) a pest issue, or 3) a bacteria-killing issue. The same lone voice for adding meat says he has never had a problem with adding dairy to his compost. You can decide what makes sense or not. No ashes? – Adding wood ash from a fireplace or outside fire pit is not advised unless you have acidic soil. 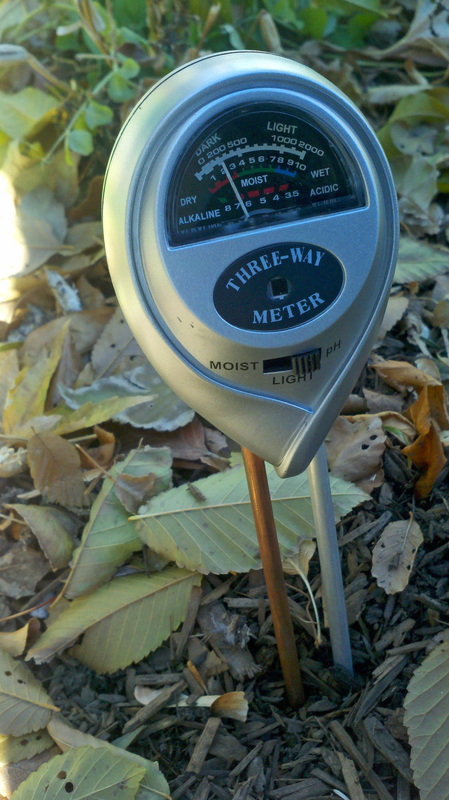 Ash is a major alkaline source and can make your compost dangerous to plants. I did read that ash can be spread in a thin layer on the lawn, but I’m going to research it further before I try that on my lawn. Oils? – Petroleum products are never recommended; however, small amount of vegetable oil is generally believed to be safe. The issue is that the bacteria does not grow well in an oily environment, so soaking the pile in oil is considered bad. Animal waste – waste from animals that eat meat products are considered a health risk to a compost pile. Most websites do not recommend adding dog or cat feces to the compost; however, chicken, horse, cow, and other manure animals are considered ‘green’ nitrogen material and can be added. This year we had unusual success with our garden and next year I plan to expand our garden with additional raised beds. As much as possible, the material I will use in those beds will be the new compost from our compost box. I don’t know how much we can make in six months, but at least we will know that we are putting our leaves back into our soil and not in some landfill.